While the Christmas season is normally fairly quiet when it comes to whisky releases, occasionally one pops up. While the regular market is saturated with gift packs and stocking stuffers, there’s one place that a new product can get a bit of space at this time of year – global travel retail, the market formerly known as duty free. The latest arrival on the airport shelves is a new bottling from Diageo – introducing Talisker Neist Point. Diageo is the largest producer of single malt whisky in Scotland, but they aren’t the largest seller of single malt whiskies, with most of the output going into their blends. They own some of the best-loved distilleries in the country, but when it comes to big names, they don’t really have anything that jumps out on the global stage in the same way as Glenfiddich, Glenlivet and Macallan. However, Diageo aren’t resting on their laurels. 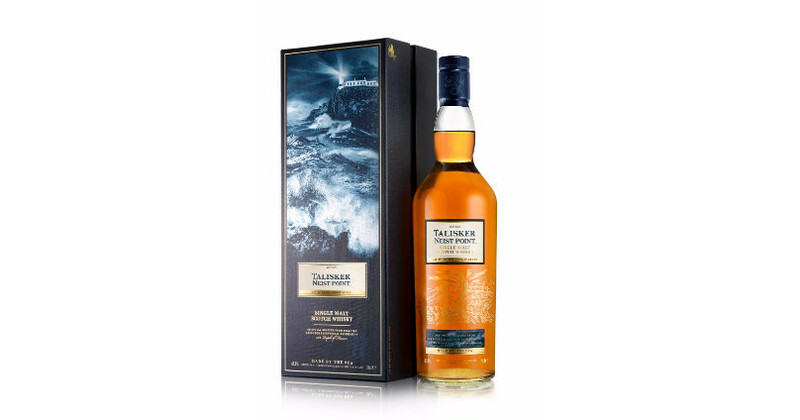 Talisker is a favourite of whisky fans and is one of the few brands in Diageo’s portfolio to have made significant headway in the mass market – you can readily get it in supermarkets, unlike most of their single malt range. Diageo have been putting a lot of effort into the growing and promotion of Talisker over the past few years, and it is now easily the largest distillery brand in their single malt portfolio when it comes to numbers of expressions. The venerable Talisker 10 Year Old is still here and, despite constant rumours, doesn’t look to be going anywhere. A few years ago, Talisker’s was similar to Diageo’s other distillery ranges: there was an entry level whisky (Talisker 10), a step-up (Talisker 18), the Distillers Edition (finished in Amoroso casks) and some older, more limited releases (25yo and 30yo). It’s more recently become a focus when it comes to new whiskies, with a selection of new flavour-led (aka NAS) releases joining the line-up. 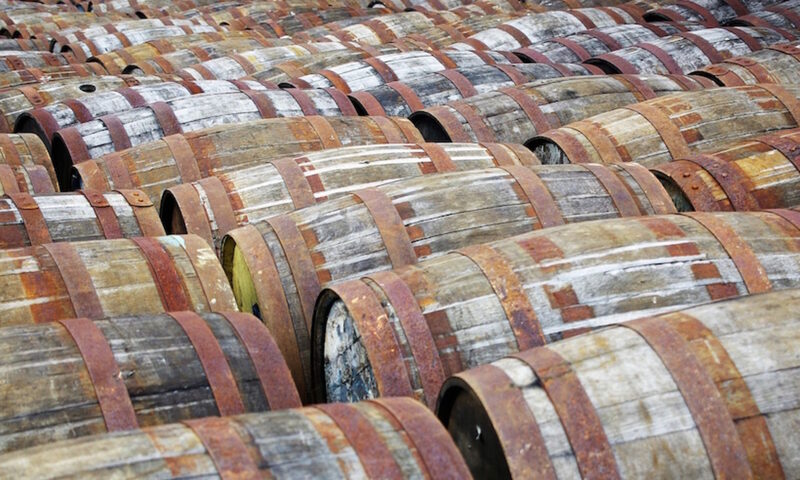 With growing popularity comes pressure on the stocks of maturing whisky, and a diminishing supply of older whisky threatens the future of the 10 Year Old as well as the older releases. As such, introducing NAS variants to take the pressure off the 10 Year Old, allowing those who don’t care about age statements to buy a Talisker while allowing the 10 Year Old to continue without significant price hikes or shortages, seems like a sensible idea. Whether you like the NAS bottlings or approve of them is another matter, understanding that their existence almost certainly protects the existence of the 10 Year Old is another. I’ll leave the inevitable debate about the presence of NAS whiskies in the line-up for other people who aren’t as bored of the conversation as I am. Anyway, on being invited to try a new Talisker, without receiving any details of what the whisky was, I started to speculate about the regular range. In its current state it’s covering most bases: Skye – the entry point; 10 – for the fans; Storm – a bit more punch; Port Ruighe – for perverts who like port-matured whisky; Distillers Edition – sherry matured. After that, you have the older and more refined releases, but I couldn’t see any particular niche for another whisky, and Diageo generally don’t produce a new, ongoing whisky for the hell of it. When they announced at the beginning of the launch event that it would be a global travel retail exclusive, things made more sense. The current GTR range consists of Dark Storm, an amped version of Storm. It’s reasonably priced by the litre and is pretty good – I’ve had a couple of bottles in the past and have enjoyed them. However, GTR is a strange market, with a captive audience wanting to spend money to buy something that they can’t get elsewhere. It’s a place where everything from the cheap and cheerful – bargain oversized bottles of Gordon’s gin in a bottle with a carrying handle – to the most premium of drinks – Brora 40yo for £70k a bottle – sells and sells well. So, where’s the gap in the Talisker lineup that the new Neist Point can fill? With Dark Storm taking on a ‘bigger than the others’ approach, slap bang in the middle of the regular range, there’s only one place they can go – up. The Neist Point is positioned between the 18 and 25yo in price – about $180/£115 – and is going for a flavour profile that matches that. Nose: Singed apples and pears, beach bonfires and toffee apples to start, with a spicy dredging mix sitting behind – a mix of sea salt, pepper and spice, all mixed up and ready to be mixed with flour, slapped onto some chicken and fried. Balancing that more savoury side of things are candied ginger, freshly scraped vanilla pods, sweet grapes and perfumed, sappy oak. As it sits in the glass, leafy notes appear, along with some damp driftwoody notes and a background of ozone-heavy seaspray, a classic Talisker trait. Palate: Very soft and sweet to start, with a wave of caramel parting to reveal a blast of salt and peppery spice. That calms, to reveal a much more elegant body behind, with apples and pears layered with vanilla and spice – mace, mild chilli and soft cinnamon. There’s a slight dustiness – the end of an old jar of powdered nutmeg – gentle barrel char and a whisp of aromatic smoke – burning pine needles and sappy oak. Finish: Long and spicy, with pepper and chilli kicking things off. As the heat fades, damp leaves, earth and black liquorice develop, with a pinch of cooling menthol appearing before the flavour dies away to nothing. This is a good whisky that fulfils its brief – it reminds me of the Talisker 25 Year Olds that I’ve had the chance to try, with the elegance of those drams backed up by a bit more power and classic, seaside Talisker character. At £115, it’s not gone to win many friends in the geek community, but travel retail shoppers with holiday money to spend will almost certainly love it. @cowfish Unlike brand ambassador Donald Colville, I describe it as “the £145 NAS one”.